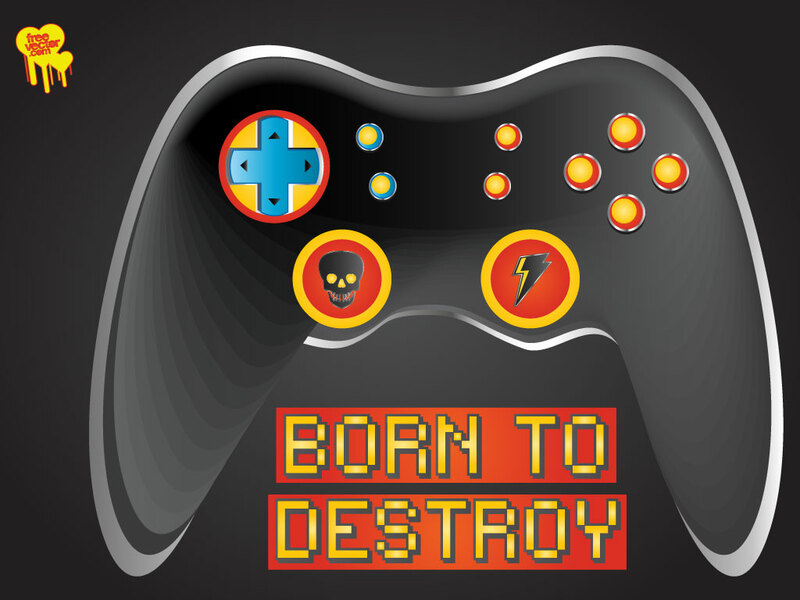 A cool game 360 style controller graphic with "Born To Destroy" centered underneath. This could be a very handy download for any gaming-centered design projects. A nice time saver for posters or gaming websites. Tags: 3D, Electronics, Fun, Games, Nintendo, Pc, Playstation, Technology, Video Game, Wii.